POWERS — Barbara A. Cologna, 80, of Powers, passed away early Monday morning, Sept. 10, 2018, at Pinecrest Medical Care Facility in Powers with her family by her side. She was born on Jan. 2, 1938, in Norway, Mich., the fourth daughter of Harold and Maude (Pearney) Wall. She graduated from Norway High School in 1956 and then went on to study nursing at St. Francis Hospital School of Nursing (now Resurrection) in Evanston, Ill. She graduated as a registered nurse in 1959. Following graduation she returned to Norway and worked as an office nurse for W.R. Gladstone, MD. On June 18, 1960, Barbara married a former schoolmate, James Cologna at St. Mary’s Church in Norway. In 1961, Jim decided to return to NMU to finish his education. While in Marquette, she worked as an R.N. at St. Luke’s Hospital (now U.P. Health Systems). In 1963, Barbara and her family moved to Mundelein, Ill, where Jim was employed at Smith Corona and she worked at Condell Memorial Hospital as an R.N. A few years later the family returned to the U.P. and Jim worked for Clairmont Transfer and they resided in Powers where Barbara worked as an R.N. supervisor at Pinecrest Medical Care facility until her retirement. Barbara was a member of St. John Neumann Church where she was proud to serve as CCD teacher, CCD “lunch lady”, Sacristans, and Eucharistic minister for many years. She is survived by her husband, James; her five children, Karen (Jerry) Hubbard, Kathy Cologna, Michael (Tami) Cologna, Beth (Alan) Hart and Lisa (Joel) Chrisler; 13 grandchildren, Jacob, Kristin, Katie (Doug), Nikki (Jason), Luke, Emily, Jason, Casey, Parker, Mikayla, Ashley, Lexi and Lauren; one great-granddaughter, Perrie; and many nieces and nephews. Barbara was preceded in death by her parents; sisters, Joyce, Pat and Betty; and brothers-in-law, Casey Mish and Albert Baciak. 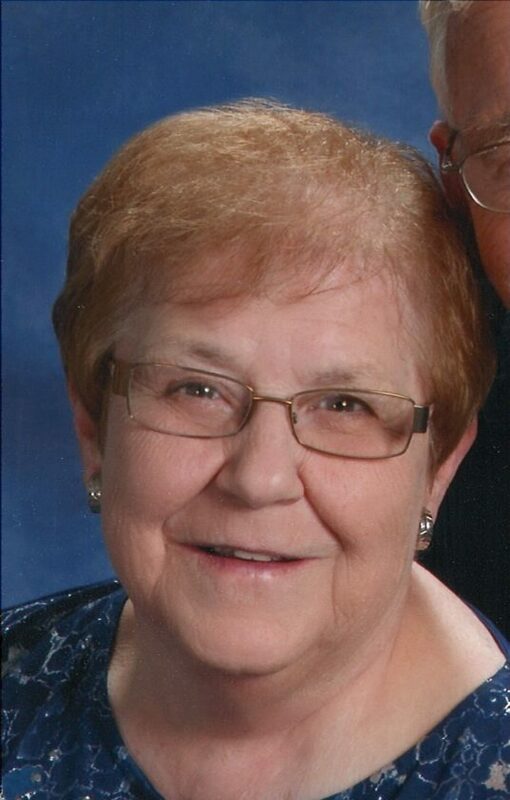 The services for Barbara will be on Friday, Sept. 14, at St. John Neumann Church in Spalding. The St. Anne’s Society will recite the Rosary at 2:30 p.m. (Central Time) with the visitation to follow from 3 to 5 p.m. The Mass of Christian Burial will be at 5 p.m. with Rev. Michael Vichich officiating. A luncheon will follow in the church hall. Burial will take place in Norway Township Cemetery. In lieu of flowers, memorials in Barbara’s name may be directed to St. John Neumann Church. A message of condolence may be directed to the family by visiting crawfordfuneralhomes.net.